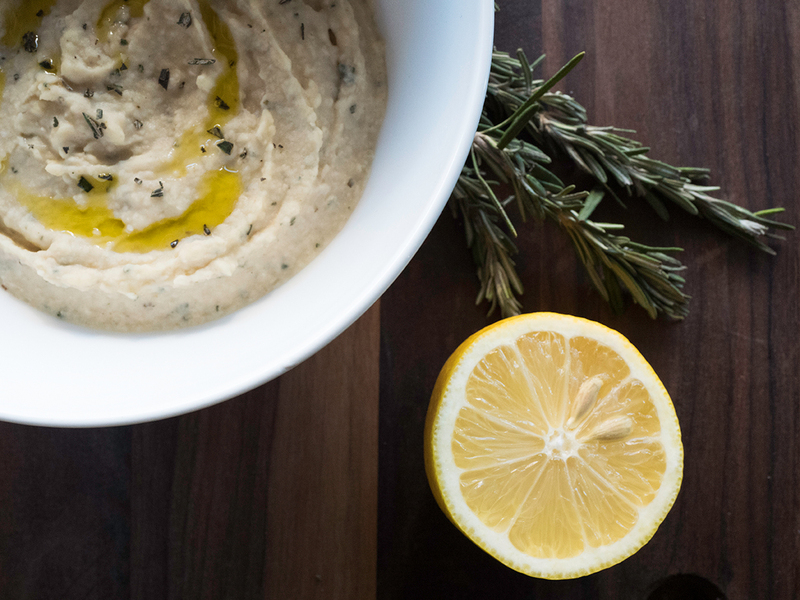 I love white bean dip. It is a very tasty & healthy treat that is easy to make. It is a great hors d’oeuvre because it taste even better when made in advance, and is excellent leftover. Like most Italian fare, the ingredients are the main actors. The quality of the olive oil is of paramount importance. The dip pairs well with crostini and crisp white wine. I have tried many different iterations of this recipe, and this is my favorite. Enjoy! Pre-heat the oven to 400 Degrees. Remove the papery outside of garlic without taking apart the bulb. Cut-off the top fifth of the bulb, exposing the inside of the cloves. Liberally drizzle with olive oil, wrap in aluminum foil, and seal it closed (be sure to cook inside a pan to prevent any excess oil from dripping). Cook for 40 minutes, or until a fork can easily pass through and the garlic has a light gold tinge). In a food processor, add rinsed beans, roasted garlic, lemon, olive oil, cumin, rosemary, salt and pepper to taste and pulse mix to a smooth consistency. Transfer to a shallow serving bowl, smooth-out with the backside of a spoon, dress with olive oil and rosemary. Author’s Note: Sauvignon Blanc pairs particularly well with the flavor of garlic. Texturally, the acidity contrasts well with the creaminess of the dip. Thank me later.